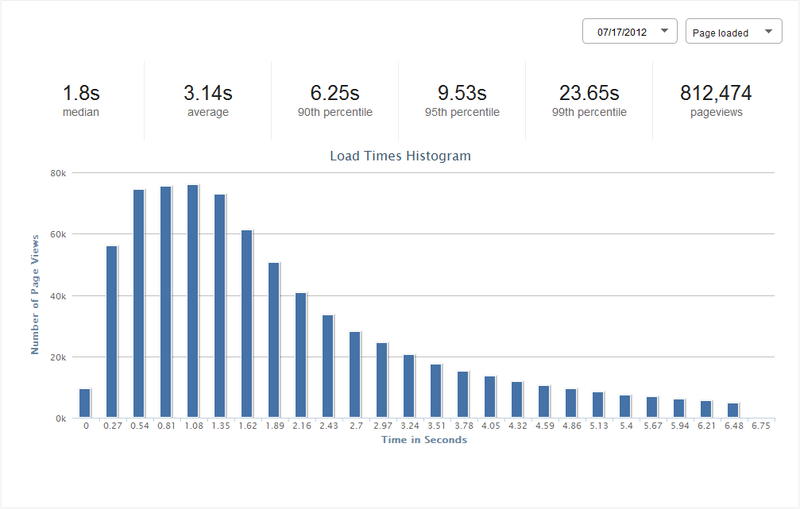 A couple of weeks ago I ran a test with WebPagetest that was designed to quantify how much a CDN improves performance for users that are far from your origin. Unfortunately, the test indicated that there was no material performance benefit to having a CDN in place. This conclusion sparked a lively discussion in the comments and on Google+, with the overwhelming suggestion being that Real User Monitoring data was necessary to draw a firm conclusion about the impact of CDNs on performance. To gather this data I turned to the Insight product and its "tagging" feature. Before I get into the nitty-gritty details I'll give you the punch line: the test with real users confirmed the results from the synthetic one, showing no major performance improvement due to the use of a CDN. To ensure that this test was comparing apples to apples, I switched all requests hitting common.csnimages.com to common1.csnimages.com, so when a customer is hitting our CDN they only use the common1 and common2 domains. After some testing to make sure that everything worked, I cranked the "no_cdn" users up to 25% and let the test run for a few days. Notice that the difference in pageviews matches the percentage distribution quite closely, with a 75/25 split we would expect to see three times as many people in the "CDN" group, which we do. Both of these points are extremely important, and at Wayfair they justify the expense of a CDN by themselves. That being said, we were also expecting to see some performance benefit from our CDN, and it is disappointing that we aren't getting one. It is also important to note that these results are from our CDN and our application, and thus should not be extrapolated to the entire industry as a whole. You should run your own tests if you think that your CDN could be out performing ours. I'm happy that we ran this test, because it gives us a better frame of reference to approach content delivery vendors with going forward. It also forces us to focus on the real benefits we are getting for our dollar – speed not being one of them at the moment. If you are really curious about how something is affecting your real users, you have to instrument your site, do the work to create a split test, and actually measure what's happening. 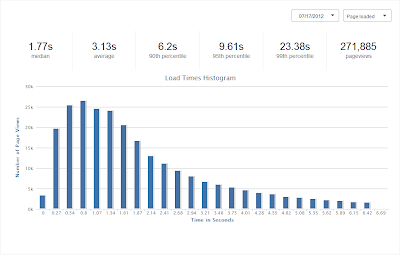 Depending on the distribution of your users, a CDN may not provide a huge performance benefit. Make sure that you know what you are paying for and what you are getting with a CDN contract. If you have the right tools and a decent amount of traffic these kinds tests can be run very quickly. If you have any questions about methodology or results let me know in the comments! Test a URL on your site from a location that is far from your origin. 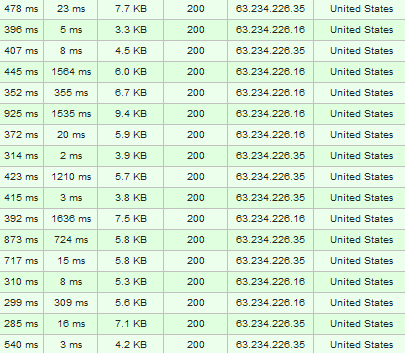 Using the scripting tab in WebPagetest, point your CDN domains at your origin IP, and run another test. Compare the results, and see how much your CDN is helping you! Let's break this down for a Wayfair URL. Since we only have our static content on our CDN, I chose a URL that has a lot of images on it, what we call a "superbrowse" page - http://www.wayfair.com/Outdoor-Wall-Lights-C416512.html. 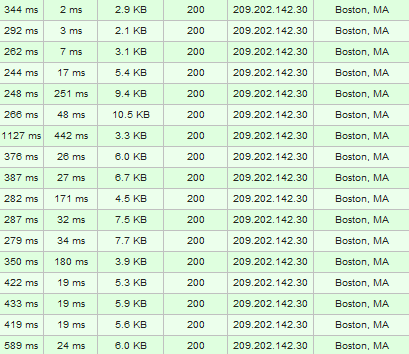 Since our origin is in the Boston area, I picked the LA node in WebPagetest to give our CDN the best chance of success. 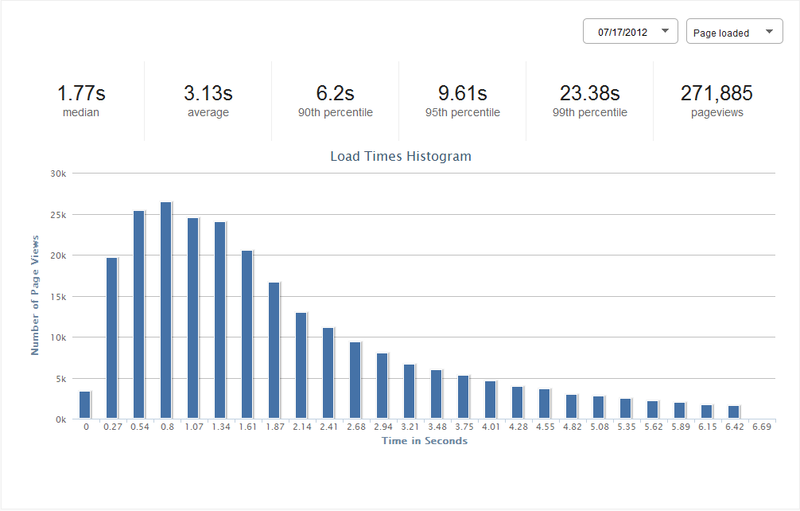 To try and smooth out the results, I configured the test to run 10 times. It also helps to login and label your test so you can easily find it later. This points all of our image domains (we are using domain sharding for performance) at our origin IP address and bypasses our CDN entirely. At this point I just had to wait for the tests to complete and compare the results. So the test is working as expected. Let's look a little closer...the column on the left is "Time to First Byte" (TTFB) and the next column over is "Content Download". With a CDN you expect TTFB to be comparable or better than your origin, since CDNs should have highly optimized servers and the first packet shouldn't have too far to go. The content download should be MUCH faster, since the edge nodes are closer to the end user than your origin is. As we scan down these screenshots we can see that for the CDN the content download times vary widely, from 2ms to 1500ms, and for images that are less than 10KB! This is not great performance. I'm also surprised that the TTFBs are so high, I would expect the first byte of an image to be served off an edge node in well under 100ms. The origin requests are slower on the whole, but more consistent. These two factors combine to make the difference in the two tests negligible. Based on this brief analysis of one URL, it looks like our CDN isn't providing a whole lot of benefit. Granted, these images are on the smaller side, and CDNs should perform much better for heavier content, but the reality is that most of our static content is product images that are less that 10KB, so this is our primary use case. I'm going to take this data back to our CDN and have a conversation, but in the meantime I hope you use this technique to see how your CDN is impacting your site's performance.